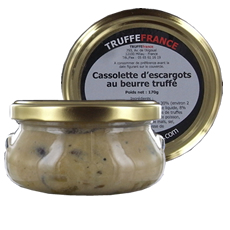 Délicieux saucissots finement truffé à 5% de truffes noires, prêts à griller. 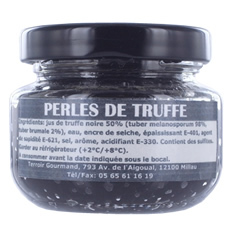 These pearls resemble caviar, embellish the black truffle, glide softly under the tongue and release in crunching and infinitely silky black truffle juice. 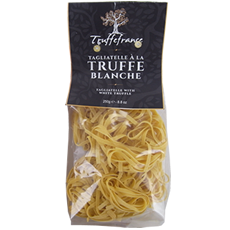 Egg pasta with white truffles, are perfect combined with butter, grated parmesan cheese and shavings of white truffle. 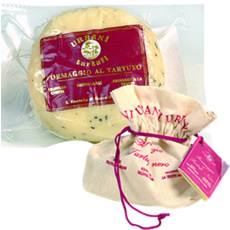 Available only during the season of fresh truffles from Alba: November, December, and January. 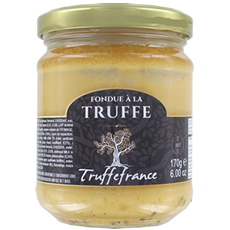 The truffle fondue is an original starter for a refined, elegant meal. 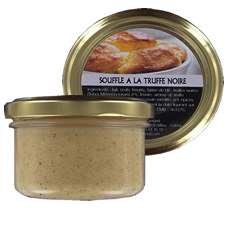 The product is ready to use and you can prepare it like a traditional fondue, warming the cream and bathe the squares of toasted bread. 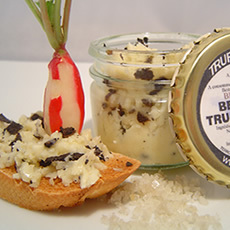 This black truffle (Tuber Melanosporum) risotto is an extravagant star of Italian cuisine. 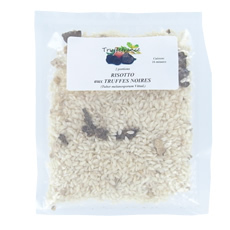 Savour the great Italian tradition of truffle risottos. 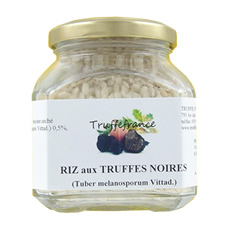 Unique and sublime rice accompanied with Tuber Melanosporum black truffles. 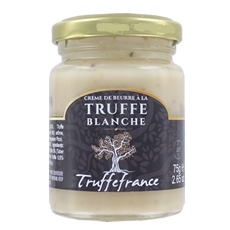 Delight your taste buds with the truffle aromas and the texture of this traditional puree. 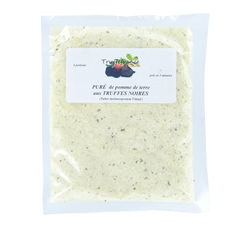 Polenta with black truffles, 2 portions, ready in 8 min. 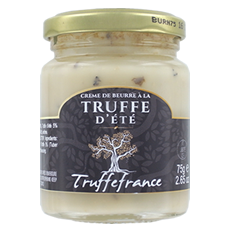 A smooth, refined recipe for this delicious truffle Echiré butter. 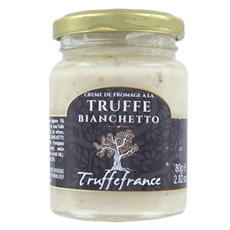 An innovative speciality born of the symbiosis of pasta and the summer truffle. 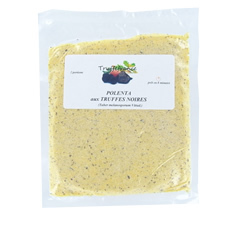 For use in a variety of recipes: pasta, risotto, imaginative salads, etc. 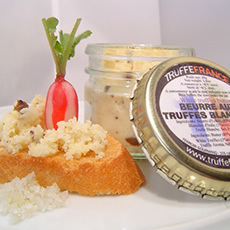 An individual, light and smooth soufflé with black truffles. A delight! 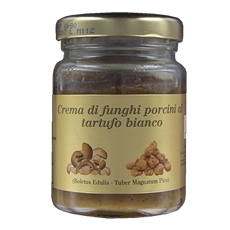 An imaginative cream of cep mushrooms and Magnatum Pico white truffles. 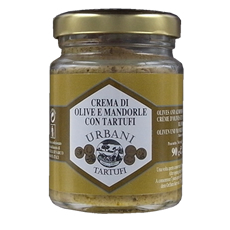 Irresistible and imaginative cream of olives, almonds and truffles from Umbria. Snails cooked in truffle butter, to be gently reheated in the oven. One of the world’s oldest recipes which has become so emblematic of culinary tradition. 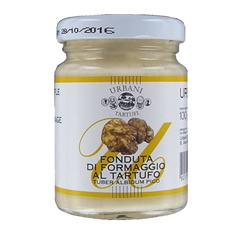 Our favourite: tasty tortellini with Tuber Aestivum summer truffles. An absolute must.